Do you know what a Pergola is? In pergola design plans, also known as an arbour or arbor forms a shaded area, a passage, a walkway or sitting areas & standing on vertical posts, supporting horizontal beams that can be decorated with garden plants or with wood shades. They have their native and origin in the European architecture. The term was adopted into English as Pergola. 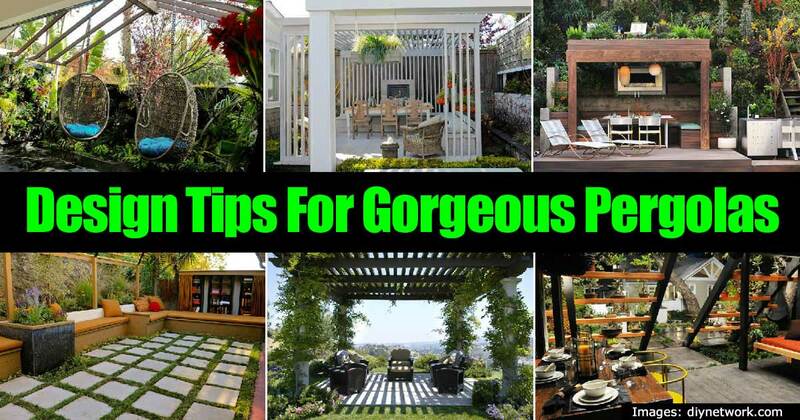 A large outdoor space of your house, a resort or business place can be dressed up with an elegant Pergola. Pergolas can be an ideal solution to complement complete indoor or outdoor space with shade and privacy that is very much needed. They traditionally had arches to cover them. With proper planning pergolas can make use of your space to create a transition area, preserving the open space at the same time. Pergola designs have been “in style” for what seems like ages. They never seem to go out of fashion not matter the material used – wooden pergola or wood pergola, vinyl pergola, metal pergolas, custom pergola, free pergola and even retractable pergolas.. They were traditionally used as garden entrances or shaded areas in garden for relaxation. Their use has been dual – as a frame or openings. The “roof” when covered with vines and green plants can form excellent shaded canopy for pathways or walkways and make a nice setting for an outdoor kitchen. Some interesting pergola ideas are creating a pergola for a small balcony, incorporating a reading library, installing a hammock, adding shelving for various displays, or creating a romantic or a social place to eat when the weather is nice. Let us take a look at some traditional and contemporary uses of Pergola. In the middle ages, frames and arches were in place in every mansion and important monument. Earlier they were formed with stone or metal to highlight the strong presence of these arches and entrances. After the renaissance, the arches were accommodated with Pergola designs and the idea of partly displaying and partly hiding the structure gained more popularity and has stayed in fashion. Thus entrances and frame views are one of the traditional and long running uses of Pergola designs. In a common sense, the pergola comes to our mind as a structure of pillars and crossbeams with plants to provide shades. Back in the old times, these outdoor structures were built so strong as to support grape yards. They emerged as shade providing architectures from the Middle eastern hot countries. In countries with a cooler climate, they were modified and used for light shades. The Pergolas are known for being covered on three sides and one side kept open forming shady tunnels in gardens and mansions over a network of metal or wooden arches. This is now used with green climbers and shrubs functioning as a trellis to form a shaded and secluded walkway. The modern pergola which has stayed in line with the traditional ones has only difference. The difference being that pergola roof and arches are now used for ornamental purpose more than just shade. They can be used to create a relaxing space with partial shade in a garden completely detached from the house serving as a focal point in the backyard , or for a cover on the terraces to enjoy pleasant evenings. Now that we know the wonderful uses of Pergola designs, let us look at some considerations that are important before you decide to build your own Pergola structure. This makes the simplest structures heavy. Using plants for a cover make them even heavier. Consider your local construction guidelines and seek approvals before installing one of these beauties for avoiding any mishaps. Most backyard installations do not require approvals, but check with your local building authority or HOA. Anchors must be strong enough to hold the weight. It is advised to use concrete or metal for the upright structures. The pergola designs available online are pretty and attractive. Once you have decided on your favorite design, consult a nursery for suggestions on the plants to use around your pergola. Select plants according to your soil, climate and sun exposures. 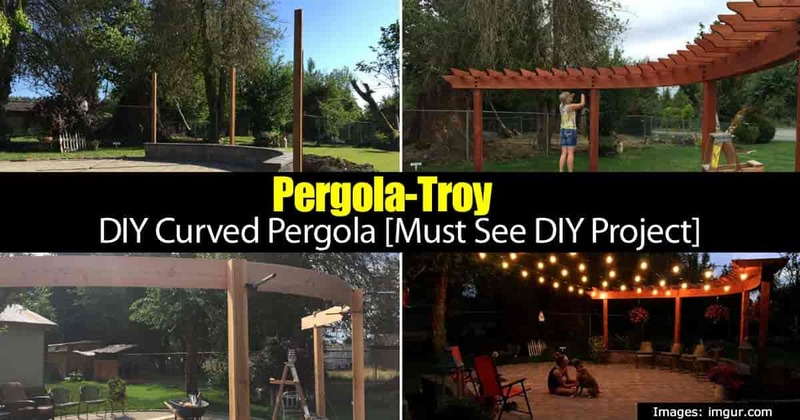 Pergolas can be complex designs and it is advised you consult good contractors for the job, but skilled homeowners can take up these steps to build a pergola themselves too. Pergola kits such as vinyl pergola kit and others are also available. You need to measure correctly and then cut the lumber for the design selected. Ideally, two people can measure, cut and make the work easier and accurate. Many material choices are available when starting out. Select affordable materials, suited for the structure you plan to build, but keep in mind long lasting material require less maintenance. Pressure treated lumber is ideal for pergolas. Many homeowners use a weather resistant pine, mahogany, cedar as wood options . Select as per your budget as woods can be expensive. You will need cement, anchors, rafters, slats, screws or nails and long posts for a pergola structure. Once the design is set, you can get the layout measured, materials cut as per the design. Second step would be to dig the footers for the posts and anchor them in the ground. It’s recommended post be set 3 feet deep in concrete and 15 inches in diameter is ideal post measurement for making it strong enough to take the load of your design. It is very simple to select and build a pergola for your outdoor or terrace or garden provided the measurements and guidelines are followed. Having some construction background does help! Pergola structures must be washed regularly to avoid dirt and mildew from accumulating. Use natural cleansers instead of harsh chemicals as they can harm your wood and make it look unattractive. They should also be allowed to dry naturally for best effect. Stains formed with fasteners and mildew should be treated immediately as they can ruin the look of the pergola. A mixture of oxygen bleach and water can be sprayed after the pergola is washed with water to keep away stains and mildew. In few years, the natural withering process corrodes the color of your designs and they need to be painted again to keep them from lightening and looking old. The fasteners need to be inspection for corrosion and decoloring. These fasteners should be immediately replaced and loose fasteners should be tightened. A pergola can be a wonderful addition to a backyard for enjoyment by the whole family! Lowe’s has a great outdoor pergola project with suspended lattice work over an outdoor living space. I can see the climbing vines like striking red mandevilla flowers and other pergola plants adding a nice green touch, as do streamers and lights. Over at “That’s What She Said” they share a fun, easy, and fast way they added the extra pizazz to the yard for the family and guest to enjoy. The end result is a wonderful addition to a backyard patio adding beauty, charm, and character. Details here. This post over at imgur demonstrates with pictures and humor a patio build. A man and his fiance set out over a few days to create a beautiful paved and glossy patio. The results were astounding and you may even be able to reproduce the results on your own with some perseverance. This patio truly transformed the yard into an impressive area to entertain guests and to lay back and relax. If you are a more visual learner, then this “article” is for you since it primarily demonstrates the method through pictures! This is really “part 1” as once the patio is completed… the next phase will be the addition of a pergola! The post is more of an idea starter as each project and location is different. They take you step by step with images which will help you build your own in no time. There are no real “clear step-by-step instructions” just pictures for guidance.